But I am not ashamed to admit that I have a hard time relating to this....stuff....that.....comes along with boys.....you? I am 100% into sports and always have been so I am very cool with that. 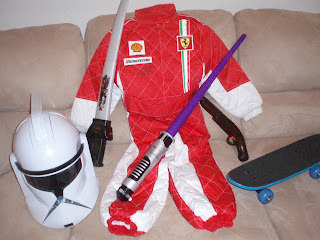 Star Wars, Power Rangers, Harry Potter - I am just not into all of that. I leave that for Joe.